The younger generation is fifty percent less likely than older adults to believe the teachings of the Bible. 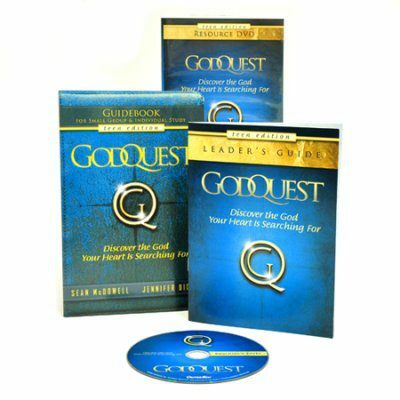 In the GodQuest Teen Edition, Sean McDowell takes teens on a six-week journey to discover answers to difficult questions about faith, spirituality and the nature of a loving creator. Each week includes an eight- to ten-minute video with powerful teaching from Sean, along with personal stories from Christian leaders like Josh McDowell, Lee Strobel, Dr. William Lane Craig, Craig Hazen and more!